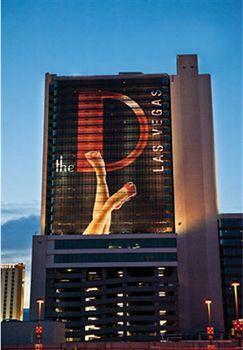 Well, just so long as no one's calling ME the "D" of Las Vegas, I'm good with this place! 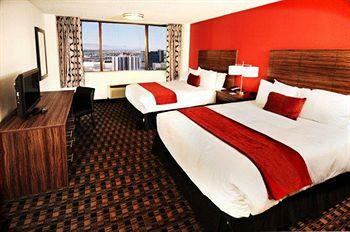 The rooms are all newly renovated, which for Downtown Las Vegas is quite a luxury! The "luck of the Irish" theme that used to be so prominent in what was Fitzgeralds before this has turned into a modern and party-themed feel. 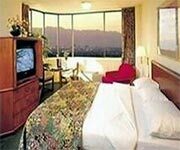 The beds are soft and comfortable, there is a sitting area with a small table and two chairs and a nice armoire for the TV. 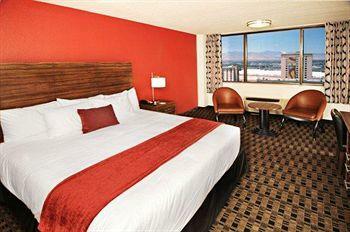 The colors are modern and neutral for the most part - easy on the eyes, which you should never complain about in Vegas. Bathrooms are standard, with tub/shower combo (unless you can sweet talk your way into a jacuzzi room). There are in-wall safes and irons with boards. The views can be great, since this is the tallest building downtown. 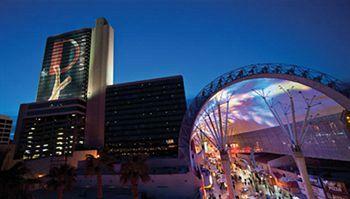 Rooms are directly above The D Casino Vegas and check-in, so there are no long walks, which can be helpful in finding your bed again at the end of the night. The parking garage is scary to drive in, with a narrow, spiral path leading you to the fifth floor and above. Pretty good. The newly renovated hotel is trying to master a fun, upbeat vibe, more modern (and far less cheesy) than the Irie madness they had going on before, so everyone is trying hard to enthusiastically instill that in guests. We'll see how long it lasts. Enough shampoo and soap to wash the fun of the Fremont Street Experience off of you each morning. Downtowners in their 40s and 50s and beyond used to gather here. They still love it, but more and more young people are being drawn since the renovations. 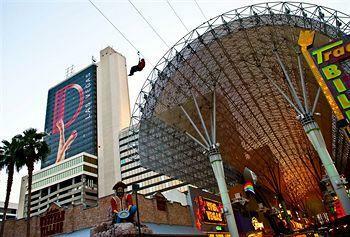 Who can resist new rooms, cheap rates and the location on Fremont Street? Don't expect much of a view. It's small and quiet, nothing like the big tropical paradises on the Strip. On the upside, it's the fourth best pool downtown (there are only five: Golden Nugget, Plaza, Horseshoe, this little gem and California - in order of quality). Sad day in Downtown. 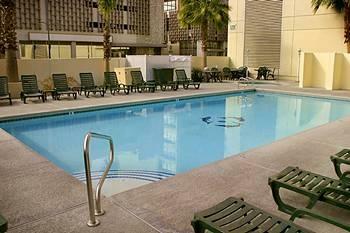 As of August 19, 2013 the D Las Vegas will have a $20 resort fee. You get wi-fi, $10 off the D showroom tickets and local and toll-free phone calls. 29 table games throughout, including craps, roulette and ugly six-deck blackjack, 3-card poker, Caribbean Draw, Spanish 21 and Let It Ride at The D Casino Vegas. They say the Dancing Deals will "drive you wild" but we really only get wild when they're dealing us a winning hand. Anyone can dance, let's see pretty ladies that can actually help us win. Then we'll be impressed. 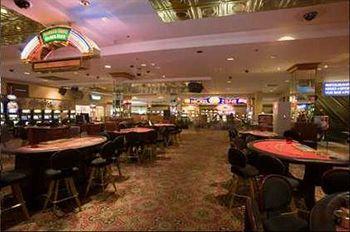 For blackjack, you'll find a $2 table, but expect more open seats at the $5 ones. Plus, the $2 game has truly awful rules. 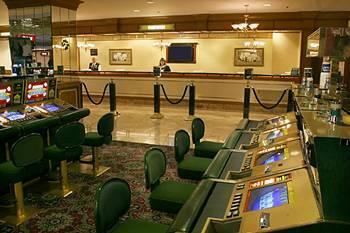 Craps is $5 mostly ($3 sometimes), and odds are 3x4x5x. 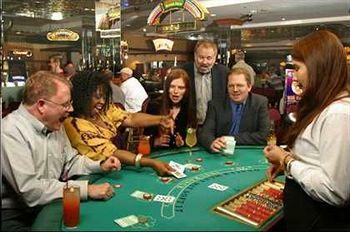 Fifty-cent roulette with $2 minimums sometimes, but often higher. Other table games are $5. 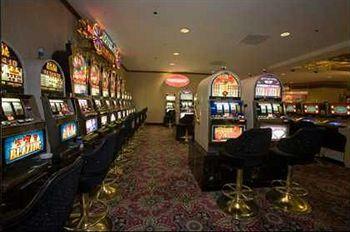 The D Las Vegas claims to have loose slots, but so does everyone else. 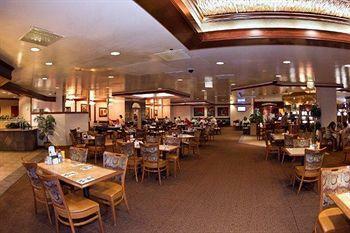 Games range from nickels to five bones, and the selection is not that great since the place is small. There are lots of those sneaky $1 slots that keep tricking us into giving them our lunch money. There is a grand array of nickel machines in their Nickel Zone. 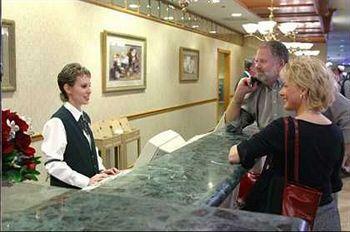 They usually have a small inventory of full-pay video poker. Pretty good. We could make a joke that stereotypes Irish people and their drinking habits, but we'll refrain since The D is no longer Irish themed. Bummer. Please just repeat to yourself some joke you remember, then remember you won't be able to use it here. The D Casino Vegas comp policy is pretty generous for table players, and it automatically tracks your play starting at $5 a hand. For slot players it's pretty good. Club members get 0.2% cash back for slots and half that for VP. The Sports Book is on the second floor of The D Vegas Casino, with new eight HD TVs and one 50" TV for all to share, fancy high-tech odds display boards and multiple ways of betting all your money away. Only 20 seats on a good day. On the plus side, while the seats are low in quantity a handful are relatively high in quality. Two, backed up by three flat screens showing odds. Usually there is only one person taking bets. None to speak of. This is upstairs and out of the traffic pattern. No, but it's right next to the Vue Bar, which has a nice bar and patio to enjoy some cheap drinks, which often include $1 drafts and $3.25 cocktails, although, very limited seating. Like the name suggests, this is a standard room. 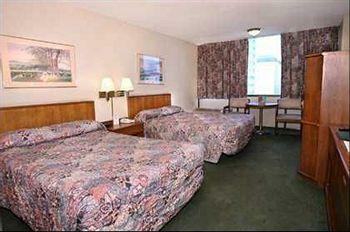 You get the choice of one king or two double beds and pull closed your blackout drapes/curtains. Stay entertained with premium cable channels and pay movies. Store all your goodies in the in-room safe. The bathroom is just as standard as the rest of the room, with a tub/shower combo and a toilet and sink. You can get all the basic necessities done, but not much else. Loved staying at the newly renovated hotel. Great customer service there. The new furniture in the room was super nice. I've already booked again for November. Def my go to spot on Fremont street now.